Thank you for your visits to my blog. This is the last entry in 2017. The first entry in 2018 will be posted on the 2nd of January. I wish you have a happy new year. 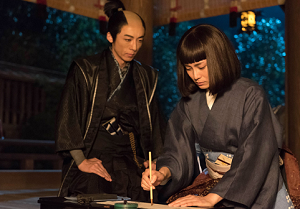 A scholar and an inventor in the 18th century Japan. He learns phytology, geology, medicine and Dutch and invents "erekiteru", a hand-operated electric generator and develops mining. 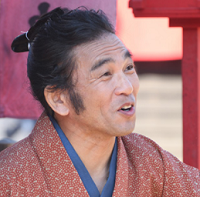 In addition, he is a playwright and advertises goods. 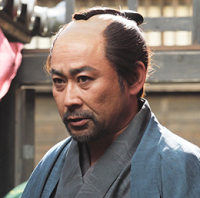 He is a rōjū (senior vassal) of shogun. 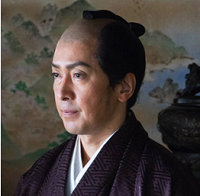 Though being criticised as plutocrat, he adopts mercantilism to reestablish the fiance of Tokugawa shogunate. 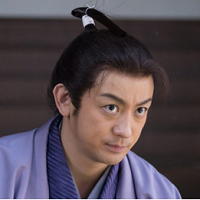 He takes an interest in Western ideas and interacts with HIRAGA Gennai and KUDŌ Heisuke. He is the lord of Nakatsu Domain in Buzen, current northern Ōita. He patrons MAENO Ryōtaku and encourages his people to study Dutch. He serves Akita Domain and studies Western－style painting. He illustrates "Kaitai Shinsho", Japanese translation of "Ontleedkundige tafelen"
He is Dai-tsushi, highest ranking of interpreter between Japanese and Dutch of Nagasaki. He writes the introduction of "Kaitai Shinsho". A publisher who publishes various books on Western things and ideas includes radical ones. He makes "Kaitai Shinsho" bestseller. 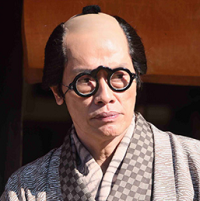 He is one of "Kansei no San Kijin", the Three bizarre characters of Kansei (**). 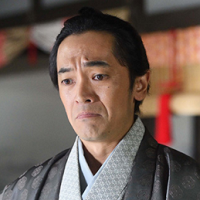 He has the philosophy of revering the Emperor and interacts with Ryōtaku. 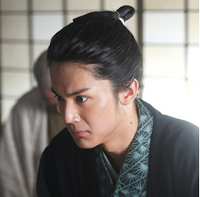 He serves Sendai Domain and is a skillful swordsman. He travels around Japan and finds the importance of coastal defense. He is a doctor who serves Sendai Domain. He foresees the contact with the Western world and points out the threat of the Russian Empire. 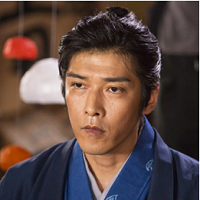 (*) The husband of Sue who is born between SANADA Nobushige and Ume, sister of HOTTA Sakubei. 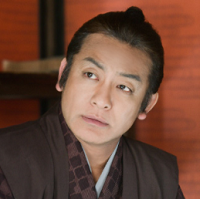 He manages an inn in "Sanada Maru". 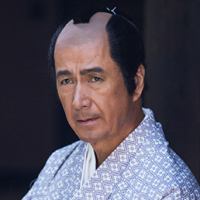 (**) The gengo, name of era used from 1789 to 1801. The images are from the official website of "Fū-unjitachi Rangaku Reboryūshi Hen". He joins the translation team also. But it is unknown when he joins it and he is not to be regarded as translator of "Ontleedkundige tafelen" like MAENO Ryōtaku. 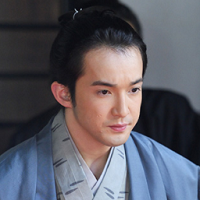 He is a pupil of MAENO Ryōtaku and SUGITA Genpaku and revises "Kaitai Shinsho", Japanese translation of "Ontleedkundige tafelen". 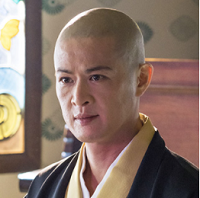 He is a pupil of SUGITA Genpaku and Ōtsuki Gentaku. He joins editing Doeff-Halma Dictionary, a Dutcu-Japanese dictionary published in 1833. Later UDAGAWA Genshin. 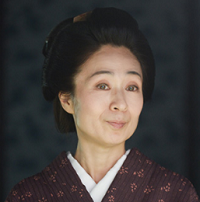 She is a wife of MAENO Ryōtaku and supports him with devotion. The eldest daughter of Ryōtaku. She is a woman of strong character but becomes ill. The second daughter of Ryōtaku who is innocent and brimming with curiosity. But she supports his father instead of her mother Tamako later. 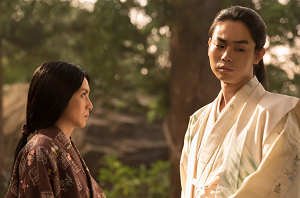 I introduce the cast of Shōgatsu Jidaigeki (New Year Jidaigeki) "Fu-unjitachi Rangaku Reboryūshi Hen" that describes the "ranpō-i"(*) s who translated "Ontleedkundige Tafelen" in the 18th century. 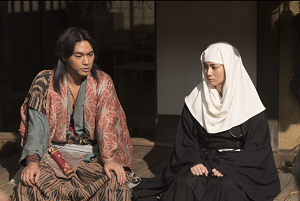 The drama is going to be broadcast on the 1st of January, 2018 on NHK. 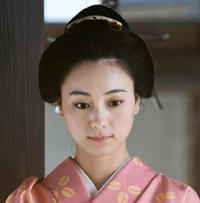 The members of the cast have appeared in "Sanada Maru" and their roles in it are highlighted in red. 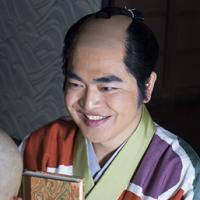 A ranpō-i who serves Nakatsu Domain and finds "Ontleedkundige Tafelen" while he studies Dutch in Nagasaki. Not only that, he is eager to translate the books from the Netherlands but is not regarded as one of the translators of the book. A doctor who serves Obama Domain. The illustration in "Ontleedkundige Tafelen" makes him decide to translate it into Japanese. He also established a private school and teaches his pupils Dutch. A doctor who serves Obama Domain like Sugita Genpaku. He also joins the group of translating "Ontleedkundige Tafelen". 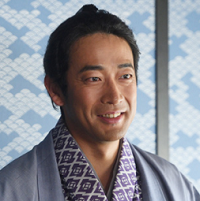 He is from the family who serves Shogun for generations and one of the leading members of translation. 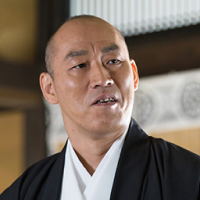 He is a father of Hōshū and the only ranpō-i who serves shogun. 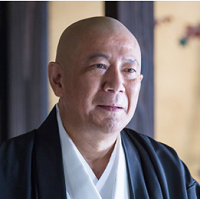 He is appointed as Hōgen, one of high-ranking doctor. 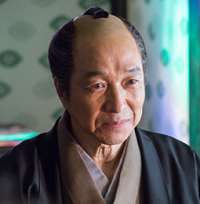 A leading kanpō-i, a doctor who studies Chinese medicine and establishes Igakukan, a school of Chinese medicine. He feels unsafe with the rise of ranpō-i. 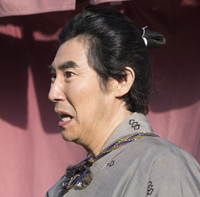 (*) Doctors who learn Dutch and western medicine under Tokugawa shogunate. The Netherlands was the only western country Japan traded with at that time. The images are from the official website of "Fū-unjitachi Rangaku Reboryūshi Hen"